Shopping for Adventure Time Tote Bags? Let Finn and Jake carry your stuff! 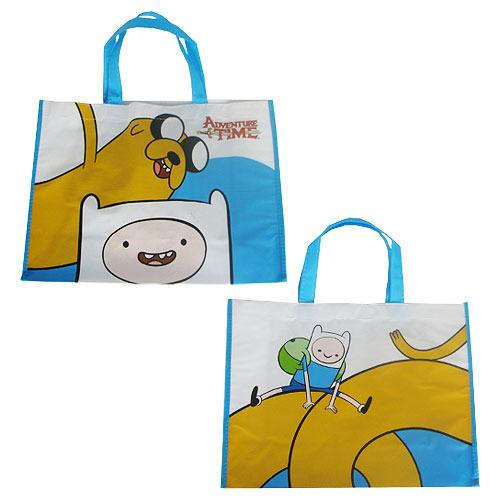 This Adventure Time with Finn and Jake Large Shopper Tote is earth-friendly and made of 25% recycled materials. It's strong and water resistant, perfect for shopping! The bag wipes clean with a damp cloth and measures approximately 16-inches long x 12-inches tall x 6-inches wide. The strap has a 9-inch drop. Ages 14 and up. Made from polypropylene.